Restored Gründerzeit buffet cabinet in walnut veneer and polished shellac from approx. 1880. The cab.. Restored Buffet cabinet in ash veneer and shellac polished. Louis Philippe from approx. 1860. T.. 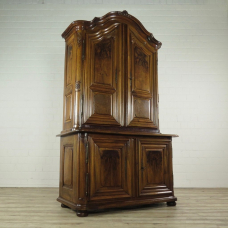 Original state buffet cabinet made of solid walnut. Classicism from about 1780. The cupboard is in a.. 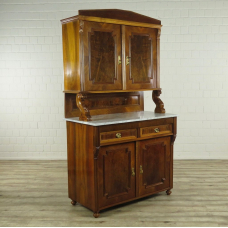 Restored Gründerzeit buffet cabinet in veneered walnut from about 1880. The marble-topped cabinet is.. 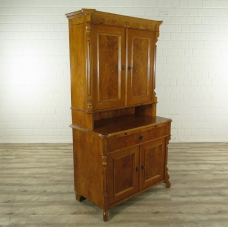 Original state Gründerzeit buffet cabinet in walnut veneer from about 1880. The cupboard is in a goo..